October 2009 has been the Vegan Month of Food ... or Vegan MoFo. Throughout the month, bloggers have written stories about vegan food, recipes, issues, and lifestyles. Isa Chandra Moskowitz, an author of vegan cookbooks, first introduced the concept in 2007. A reader has asked me if I am truly a vegan, perhaps incredulous that one who writes so often about beer (and drinks it), could really have a non-animal diet. Some wineries avoid filtration by using egg whites. Some breweries use gelatin (pig-derived) as a clarifying agent. And many UK breweries add isinglass (fish-derived) to clarify their cask ales. 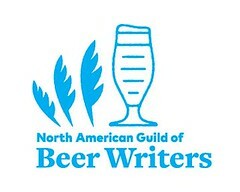 Most US breweries do not (which is one reason why many US cask ales are cloudy. There are other reasons, but that's a topic for another day.) There are other ingredients used in beer, but most are plant, grain, fruit, or mineral. A more complete answer, predating the question, is here. Throughout the month of October, I've cooked, what I've called, the Never Ending Veggie Pot o' Soup. As the pot was depleted, I've added other vegetables and more stock. Cubes of silken tofu found their way in. A few days ago, I decided to thickened the consistency and make a creamy autumn chowder. I boiled some new potatoes, and then blended them with stock and more roasted squash and several stalks of sauteed celery. 'Creamy' would be the appearance and texture: there was no dairy added! Olive oil, Kosher salt and freshly ground black pepper, herbes de Provence, and a backyard-grown dried spice blend (graciously given to me by the cellarmaster at the Clipper City Brewing Company) all provided the depth of flavor. A finishing dash of smoked paprika added color and zest. There have been several cold, rainy, miserable days in October. As anodyne, this simple soup has been warming, satisfying, and 'never-ending' ... at least for the month of VeganMofo! All of YFGF's posts on vegetarian issues, including recipes: here. 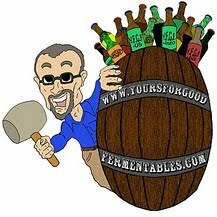 Here I am enjoying a newly discovered DC-area beer blog over the past few weeks, and now I find it's written by a fellow vegan beer lover!